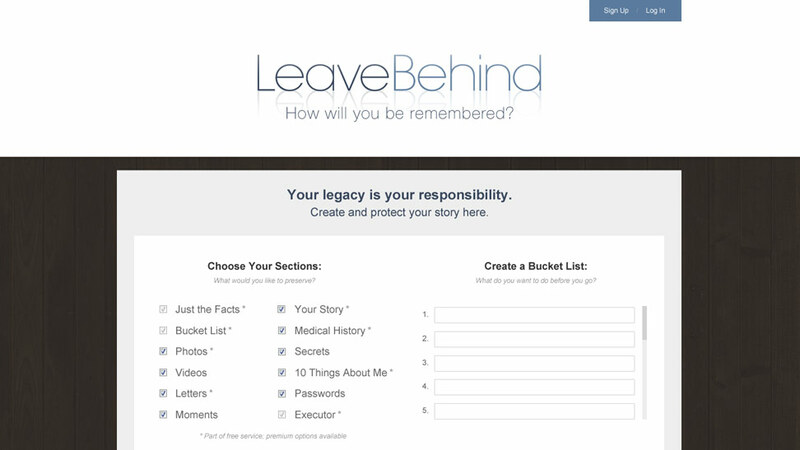 Leave Behind came to Deep Fried Productions with a vision – a space online where memories and digital assets could be preserved. 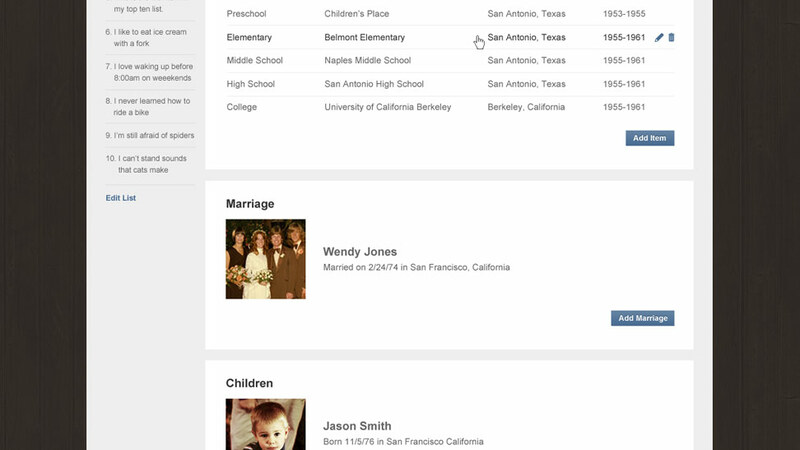 DFP created a custom tailored a complete solution to fit their needs – everything from initial branding to proprietary content management and eCommerce integration. 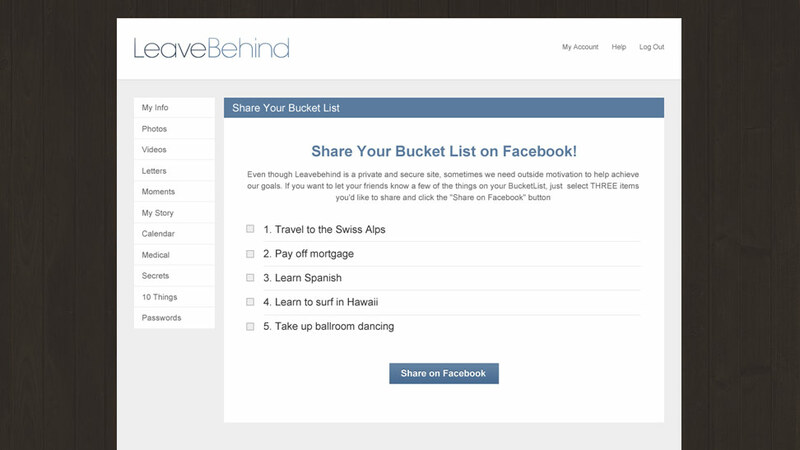 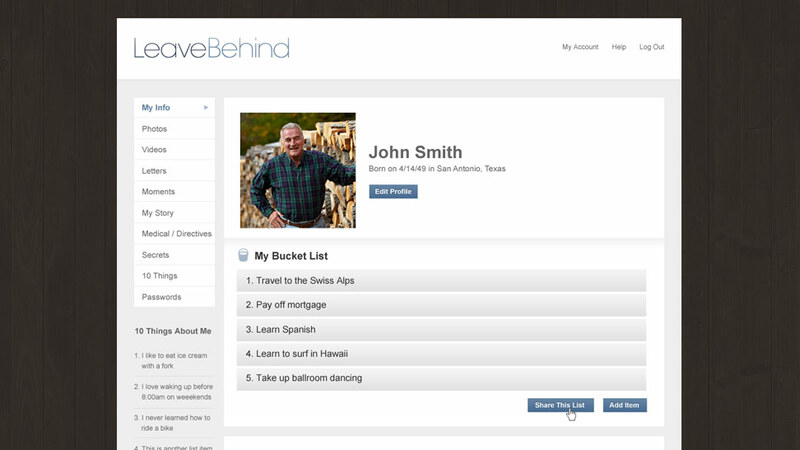 Though the site is meant to preserve content in a private environment, we also developed custom sharing tools to allow uses to select items on their ‘Bucket List’ to post to Facebook as a fun way to share what’s important to them.